Salaries rising - How much do IT managers really earn? How much do IT managers really earn? 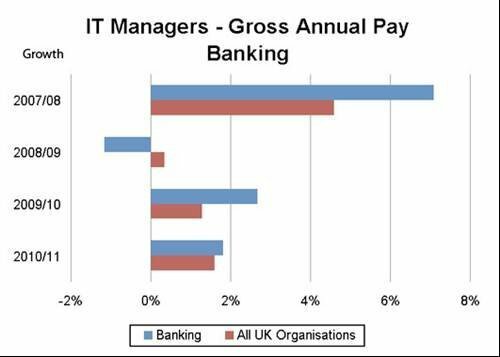 IT managers working in banking saw their salaries rise more rapidly than those working in other sectors in 2011. But pay rises are more restrained than in previous years. Salary growth reached a peak for IT managers in 2007/8, but salaries have grown more slowly since the financial crash. How much do IT managers earn? Find out the going rates for the job in this analysis from Kew Associates. The following graphics show the best paying sectors for IT managers, and assess how pay levels have risen over the past five years. For more IT charts and statistics, visit Computer Weekly Data Bank.